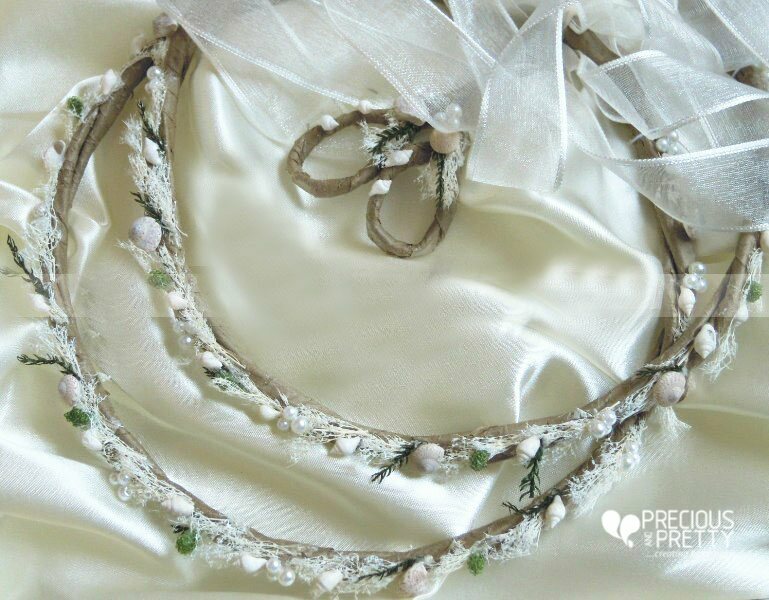 Summer wedding crowns stefana handmade with sea shells and small pearls, woven in with dried seaweeds and other elements on a branch. One of a kind wedding crowns well suited to summer weddings in the Greek Islands. They are tied together with ivory organza ribbon. 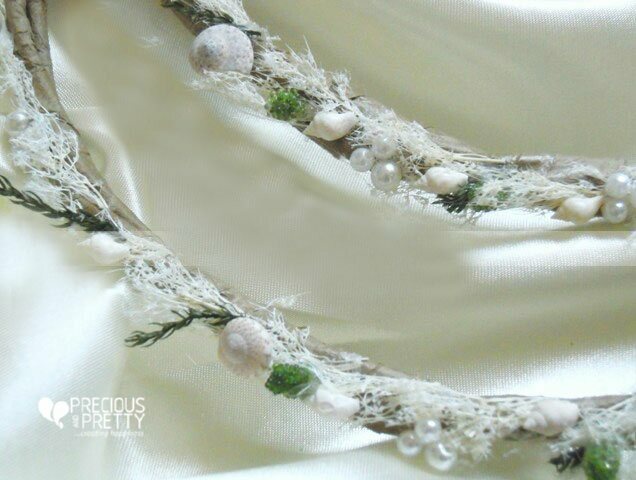 https://www.preciousandpretty.com/2012/03/summer-wedding-stefana-sea-shells.html Greek Wedding Favors|Orthodox Crowns|Stefana|Baptism Invitations Greek wedding seashells stefana crowns N13 Seashells crowns Greek wedding stefana handmade. Product #: Greek Wedding Favors|Orthodox Crowns|Stefana|Baptism Invitations_2192231122290713663 5 stars out of 5 reviews.